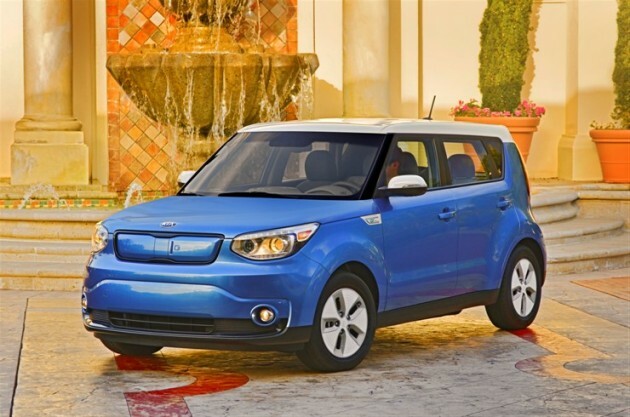 Vincentric, the automotive industry’s leading source of cost-of-ownership data and analysis, has recently awarded the 2015 Kia Soul EV with the 2015 Vincentric “Best Value in America” award in the Electric/Plug-in Hybrid category. Vincenctric determines cost-of-ownership data by analyzing eight factors, including depreciation, fees and taxes, financing, fuel, insurance, maintenance, opportunity cost, and repairs. “As a first time winner of the ‘Best Value in America’ awards, the Kia Soul EV rose above the competition with a total cost of ownership that was more than 9% below expected. Contributing to its performance were low operating costs, which were powered, in part, by a 5-year, 60,000-mile comprehensive warranty,” said Vincentric president David Wurster. Although it may be an awfully good value, a better award for the Kia Soul EV might have been “Best Value in a Specific Part of America,” considering the vehicle is currently only offered in one of our nation’s 50 states: California. However, that will be changing soon, as the automaker just announced that the Soul EV’s availability will soon be expanding to five select states. To paraphrase David Letterman, we just pray to God your state has been selected.